MINERSVILLE, PA – This Friday night at the Schuykill County oval it will be the U.S.S. Achey Sportsman Modifieds headlining the action as they compete in the “Fayash Memorial” race. The special race will pay $1,570 to the winner with $157 just to take the green. Matt Stangle and last week’s winner Mike Mammana have to be considered the favorites to battle it out for the big prize but drivers such as Doug Hendricks, Shawn Light along with a host of other drivers will be looking to take home the big money as well. Look for a few invaders to come in and try to steal the big money away from the track regulars. 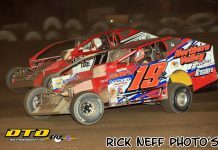 After what seems like an eternity the Steel and Metal Service Center 358 Modifieds finally returned to action last week with point’s leader Craig Von Dohren taking the win and extending his points lead over the rest of the championship contenders. 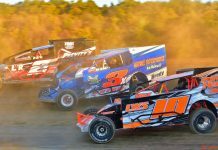 Now is a good time for the 358 Modifieds to start tuning their cars for the upcoming money races hitting the track in the upcoming weeks. After this Friday’s show on August 25th will be the “Prelude to the Coalcracker” which will be 40 laps and pay a cool $4,600 to the winner. 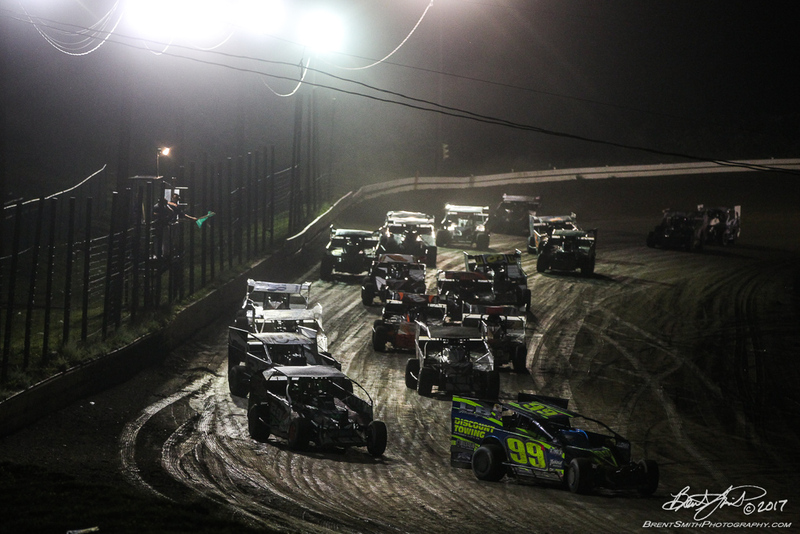 The season will then close out with the biggest race of the year for the Modifieds on Sunday September 3rd with the running of the $10,000 to win “Jack Rich” Coalcracker 72. Also on the racing card for the evening are the Savage 61 Road Runners along with the No Sweat Service Group Street Stocks. As an added bonus on the night there will also be an Enduro Dash 50 plus the Kim’s Kreations Powder Puff Race. The track has also designated the night as “Pink Out” night, so everyone please wear something pink! As always, the gates open on Friday night at 5:30pm with warm-ups beginning at 7:30pm. General admission for Friday night’s show is $20.00, senior admission is $18.00 and as usual kids under 12 and active military with ID are admitted free. *Rain date for this show is Sunday August 20th. Heats will start one half hour earlier on Sunday at 7:00pm.